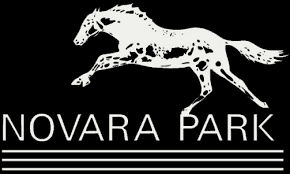 Waikato’s Novara Park Stud has added Staphanos, a Group 1-performing son of global sire-sensation Deep Impact (Sunday Silence), to their stallion roster for the 2019 southern hemisphere breeding season. A winner as a juvenile, Staphanos went on to record a trio of victories as a three-year-old, defeating subsequent Japanese horse of the year and stallion Maurice at Kyoto before rounding off his campaign with a Group success in the Group 3 Tokyo Fuji Stakes (1600m). His four-year-old season saw him take to the international stage, finishing a gallant runner-up in Hong Kong’s Group 1 Queen Elizabeth II Cup (2000m), with multiple Australian Group 1 winner Criterion back in third. Staphanos returned to Japan to finish second in the Group 1 2015 Tenno Sho (2000m) at Tokyo. His five and six-year-old seasons yielded a further three placings at Group 1 level, including when third to Maurice and Secret Weapon in the 2016 Group 1 Hong Kong Cup (2000m). The acquisition of Staphanos follows on from the loss of promising young sire Jakkalberry, who was the foundation stallion for Luigi Muollo’s Novara Park Stud. The seven-year-old will stand for a service fee of NZ$7,000 (+GST). “We were on the lookout for a highly-ranked Group 1 racehorse to replace Jakkalberry who died last year,” Novara Park manager Ray Knight said. “Staphanos fits all the criteria we set when selecting a stallion – performance, pedigree, physique and commercial appeal.